Sponsored by state Rep. Cheryl Acton, the legislation puts Utah in line with most other countries on abortion. The U.S. is one of only seven countries in the world that allows elective abortions after 20 weeks, but some states are trying to change that. Utah Policy reports Herbert signed the law Monday evening, despite threats of legal challenges by Planned Parenthood and the American Civil Liberties Union. The legislation, House Bill 136, passed the state Senate earlier this month and the state House in February. “Governor Herbert is unapologetically pro-life and believes state lawmakers have chosen an appropriate threshold for protecting the unborn while respecting a woman’s right to choose,” Paul Edwards, Herbert’s spokesman, told the Salt Lake Tribune. Before the legislation passed, however, the Utah branch of Planned Parenthood hinted that it will sue to block the law. “This particular bill, as currently written, is blatantly unconstitutional. Time and time again, the courts have struck down similar abortion bans, including, most recently, a 15-week ban in Mississippi,” Planned Parenthood spokesperson Karrie Galloway said previously. 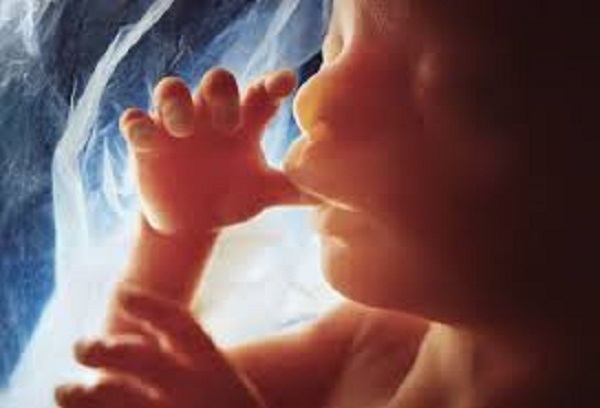 Many states have abortion bans that protect unborn children after 20 weeks of pregnancy, which is the most they are able to do considering the U.S. Supreme Court refuses to allow states to ban abortions entirely. But a few states are pushing the envelope by banning abortions starting at 15 or 18 weeks. Arkansas recently passed a similar bill. Other states are pursuing heartbeat bills to ban abortions as early as six weeks. It is unclear if the legislation would be upheld by the U.S. Supreme Court. The current precedent prohibits states from passing abortion restrictions prior to viability. In February, Utah lawmakers also passed a bill to protect unborn babies with Down syndrome from discrimination-based abortions. Governor Herbert signed that bill into law as well.